Paragliding, as a new adventure sport, has been truly wonderful and fulfilling experience for the aerial view for the adventure seekers. You can have an unforgettable experience sharing airspace with Himalayan Griffin Vultures, Eagles, Kites while floating over the villages, temples, monasteries, lakes, jungles, with incredible Mountain View on the background. Paragliding is a weather dependent sport. This begins from November to the February. The topography and the climate of Nepal have been the blessing for the paragliders. There are various deals for the paragliding veterans and novices. 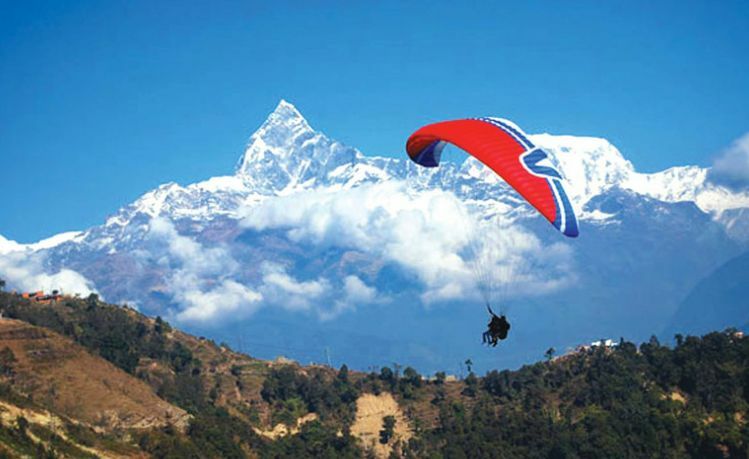 Pokhara, the beautiful lakeside, nature gifted town in the lap of Annapurna Massifs offer Paragliding to the lower hills and the Mahabharat ranges. There is a tandem flight where you fly with an instructor. This is for the inexperienced and the less brave people whereas they provide three day long introductory course for beginners too. The experienced gliders can strike a package deal. The take off point for these flights is Sarangkot (1592 m). Pokhara is 200 km far from Kathmandu and it takes 7-8 hours by bus. Day 01:You will be picked up from the hotel, transfer to the Sarangkot hill, and then fly. 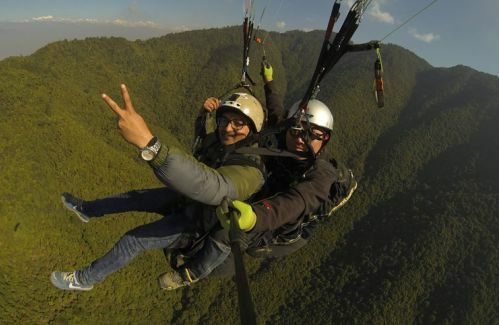 Day 01You will be picked up from the hotel, transfer to the Sarangkot hill, and then fly.You will be picked up from the representative of paragliding company by their vehicle from hotel.Generally, the time schedule for the flight is 9:30 am, 11:30 am and 1:30 pm. This schedule may vary due to weather condition. It takes 20 minutes to reach to the Sarangkot hill by car/van. It is at the height of 1592 m (2000 ft above) but the flying stations are at a bit lower places. There will be of three different types of flight: Cloud Buster, Acrobatic Flying, and Cross Country flying. You will land at the bank of Phewa Lake and drive back to hotel.